Tucson Divorce Law: What Other Options Are There Besides Divorce? When there is marital discord between you and your spouse, it can be challenging to be on the same page about many things, including whether or not you want to remain married. Of course, it’s ideal when both parties want to work on the marriage, but unfortunately, this is not always the case. If you and your spouse have conflicting feelings about the future of your marriage you might find yourself wondering if there are any other options aside from divorce. In today’s blog, we’ll review a few alternatives available to couples before they make the decision to file for divorce. If you’re in need of a compassionate and reliable divorce attorney in the Tucson area, contact the Dorris Law Group. We offer affordable, professional legal representation when you need it most, and we’d be happy to review the details of your case in a free consultation. Call us at 520-622-4866 today! Although it may seem obvious, marital counseling can be a powerful tool that can help a couple improve communication skills and move past potential emotional roadblocks that are causing conflict. If you and your spouse can’t seem to agree on something in particular, a licensed marital counselor may be able to assist you in negotiating an amicable resolution. Some couples fail to seek out counseling as an option because they feel their problems are insurmountable. While that may be true in the end, it’s impossible to know for sure without having some professional guidance along the way. Seeking out counseling can also be a great means of closure if both parties know they have done everything they can to make the marriage work. Aside from these reasons, there are others that make annulment possible under Arizona law. If you have questions about your unique situation, contact the Dorris Law Group today to discuss your case further. Another option a couple has before they file for divorce is pursuing a legal separation. There are many reasons why this may be mutually beneficial for both spouses in lieu of filing for divorce. For example, if you and your spouse are of a particular religious faith that forbids divorce, a legal separation may be your only option if you wish to abide by your religious beliefs. Likewise, there are residency requirements in the state of Arizona for filing for divorce. If you haven’t been an Arizona resident for 90 days, you are unable to file for divorce. If you’re unable to wait 90 days and feel immediate legal action is needed, a legal separation may suit your needs. 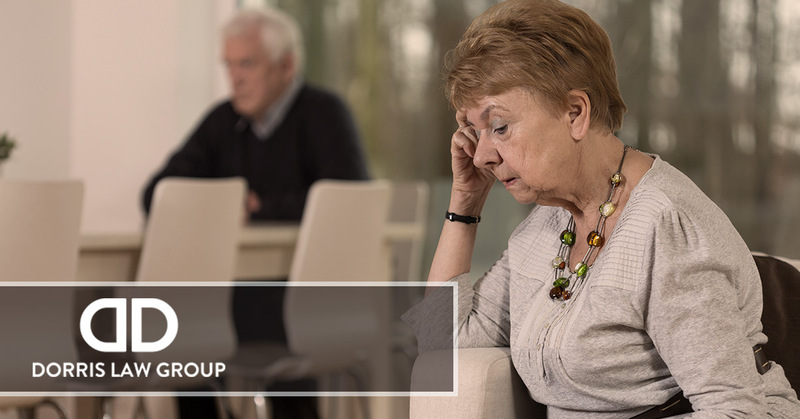 Additionally, matters of insurance, social security, and other health benefits can be impacted when a divorce is final, whereas many are not impacted by a legal separation. If your marriage is in trouble and you’re unsure what your legal options are, we invite you to contact Tucson’s Top Rated Local® Law Firm. We’ll gladly discuss the details of your case with you to determine what your best choices might be. Call 520-622-4866 today to get started. We look forward to speaking with you.